We gotta say, this branding project was mighty delicious! 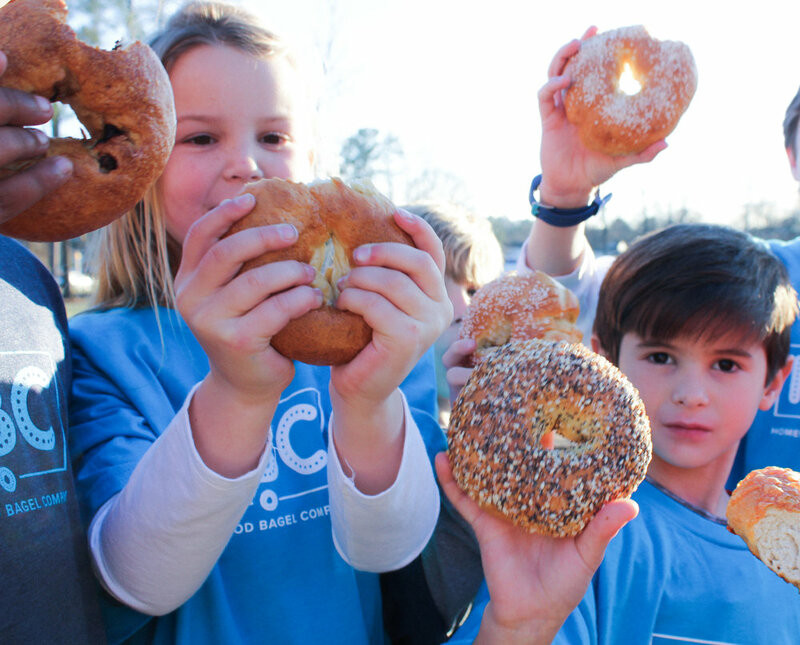 When Ginny and Joe, the owners of the tasty bagel biz, approached AMD in need of a clean and simple logo in two variations—one that said, "HBC" and one with "Homewood Bagel Company" spelled out. Both variations of their logo offered them the option to maintain their brand while swapping both in and out of their marketing materials. 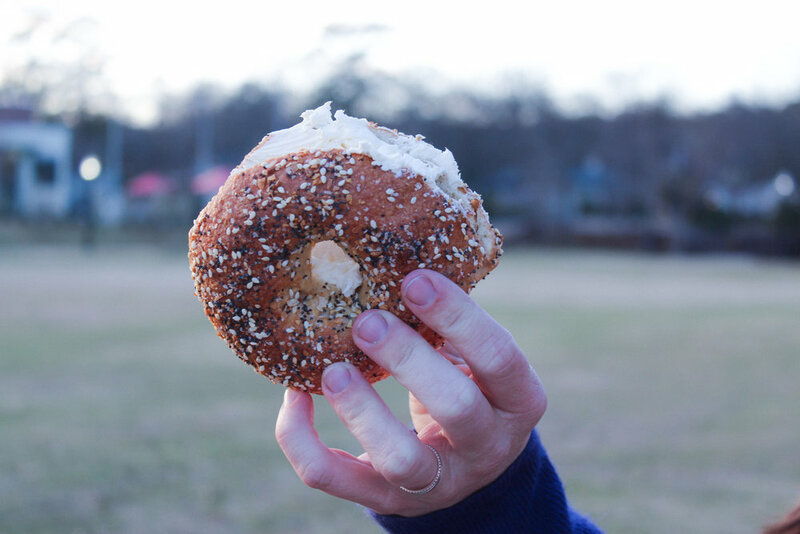 We also had two photoshoots: one for their merchandise and one for their delicious bagels. We wanted to encapsulate Homewood, Alabama, so we decided to have the first shoot in Homewood Park to make the backdrop of the photos distinctive Homewood landmarks. The menu design was simple, which incorporated touches of blue to tie in the brand. A website, stickers, t-shirts, banners, and icons were also made with different assets from the logo. Check out their chic site www.homewoodbagelco.com.